When it comes to the safety and protection of your employees, staff, or residents, proper access control and accessibility are just one way to keep your facility secure. That’s why we offer reliable and affordable access control systems for a wide array of residential and commercial applications. These access control systems will provide you a secure way to monitor activity for multiple entrances on your property. From stand alone keypads to key fobs and cards, we provide the tools and accessories needed to keep your facility secure. With a vandal-resistant durable construction and the ability to house thousands of users, our standalone access control keypads provide the ultimate in entryway protection. 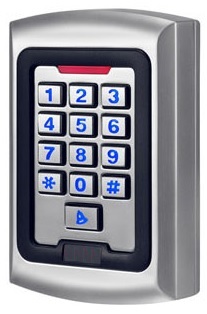 These keypads help to ensure your entryways are secure for your staff to pass through. Each keypad is equipped with backlit buttons for ease of input while some options even come equipped with card or key fob reader. These standalone access control keypads are easy to install and provide a user-friendly way for your staff to access certain locations throughout your facility. We offer a range of Door Access Control Boards and Systems in order to help any sized facility. Whether you need single door coverage or as many as four door monitoring, our control boards come equipped with high speed flash memory, a reliable access database as well as an anti-passback function. As many as 20,000 users or 100,000 records can be stored in the access control board giving you complete record for your employees. 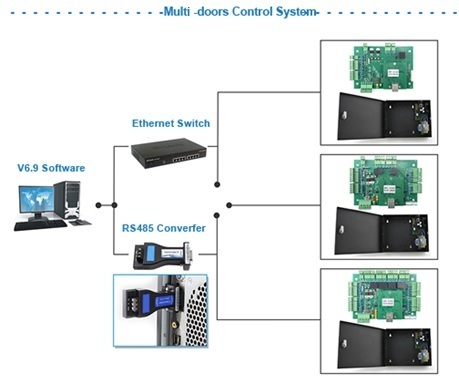 We offer free installation of our door access control boards as well as free technical and user phone support for the life of your system. This gives you the confidence in knowing your access control products will provide secure protection for many years. 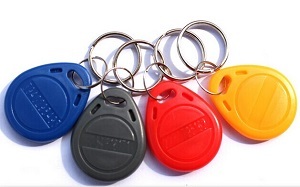 Our key cards and fobs provide quick and easy access throughout your facility. With programming functions, user-friendly interface and dependable construction, our key fobs and key cards will ensure a smooth transition for your staff from door to door. The key cards come with a magnetic stripe as swiping is quick and easy. We also offer wristbands and other fob devices to allow for easy access. We understand that timing is extremely important and the last thing you would want is to have your staff hampered by their key card not working properly. That’s why we offer a variety of reliable key fobs to ensure smooth access through each entrypoint in your facility. Why Choose BEC Access Control?